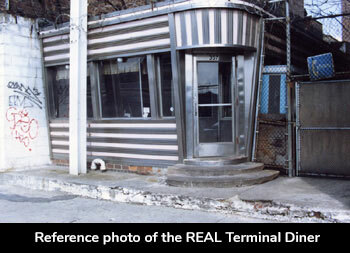 The Terminal Diner actually exists on the west side of Manhattan. 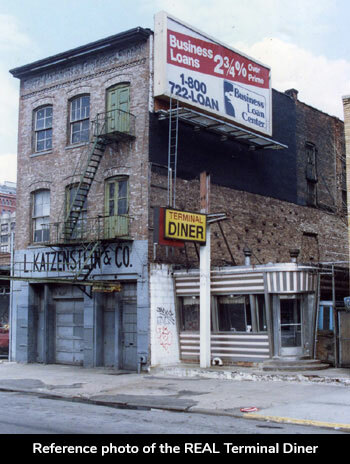 The classically designed stainless steel eatery looks as though it was squeezed to get it into an alleyway between two buildings. I kept the basic design of the diner for the piece with only a couple exterior changes — as I did with the building to it's left. The building on the right is completely different than the one that actually exists. Once again, not everything in reality is visually interesting. 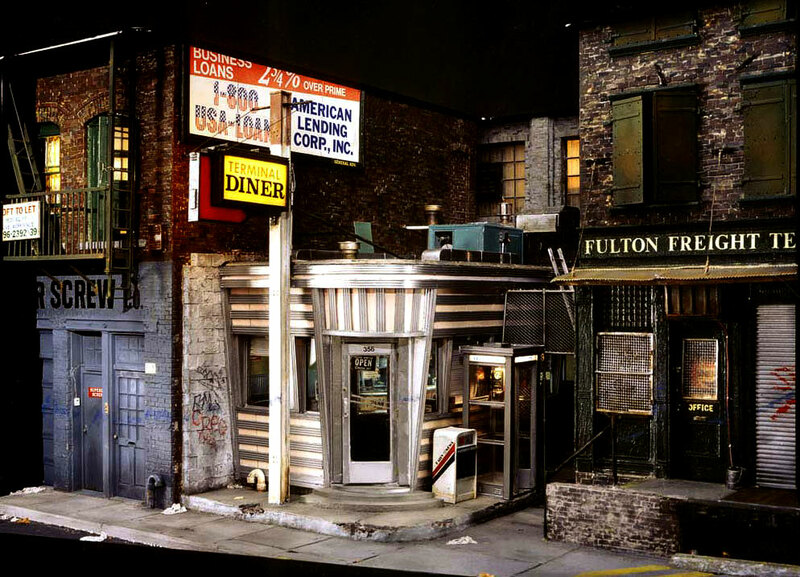 The diner has a complete interior view. There is a ladder on the side of the diner, leading up to the roof where the air conditioning unit is being overhauled. I have used this narrative element on a couple different diner environments. It seems appropriate. 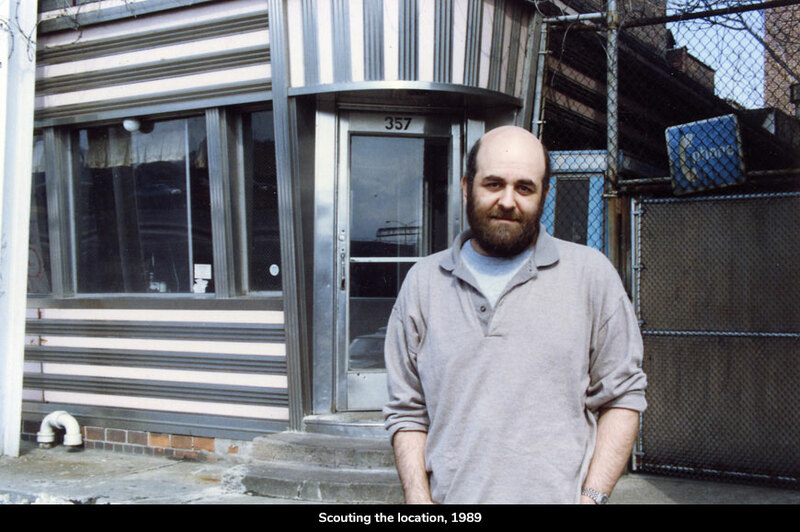 The building on the left has an open door on the second floor fire escape. A view into that door reveals an artist's loft. On the easel is a half-finished photorealist painting of the diner next door.